A few weeks ago I bought a cribbage board at an antique store for $1.00. I had no idea what I was going to do with it, but I knew that I could use it for our montessori work somehow. Enter the Jolly Roger. 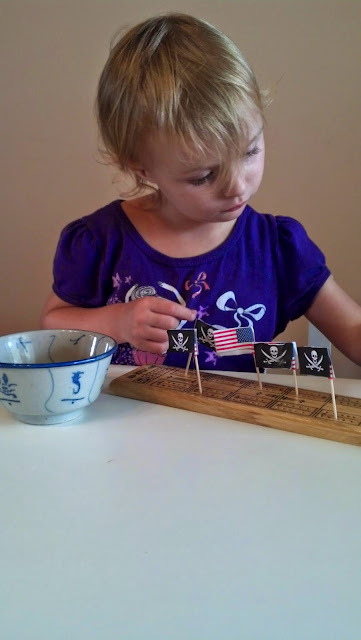 I printed out a few small photos of the Jolly Roger and glued them onto some American flag toothpicks that I had left over from Son's Presidential Birthday Party. 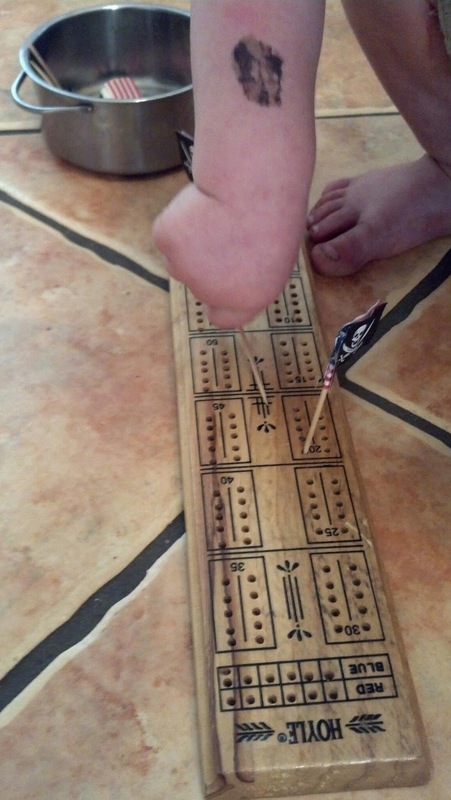 Then all he had to do was push them into the holes. The holes are small and shallow, so this was challenging for Son, but he LOVED doing this. 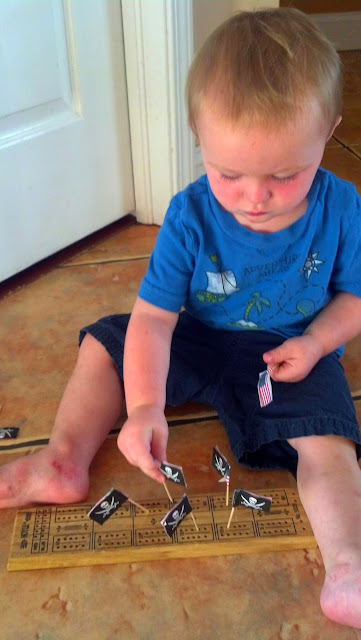 He did this activity several days during the week and each day he completed it 3 or 4 times. 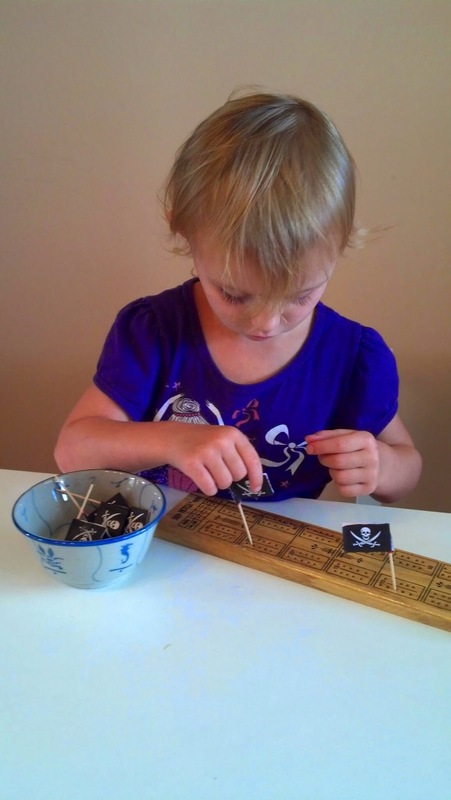 Princess did this activity too and she really liked having to according to her "concentrate".